RAGNAR HELGI ÓLAFSSON is a poet, writer, and visual artist. Educated in philosophy and later in fine arts Ragnar has held exhibitions and participated in projects and performances in Europe and the Americas as well as publishing numerous books of poetry and fiction. In 2015, he received the Tómas Guðmundsson Literary Prize for Poetry and in 2017 he was nominated for Icelandic Literary Prize. 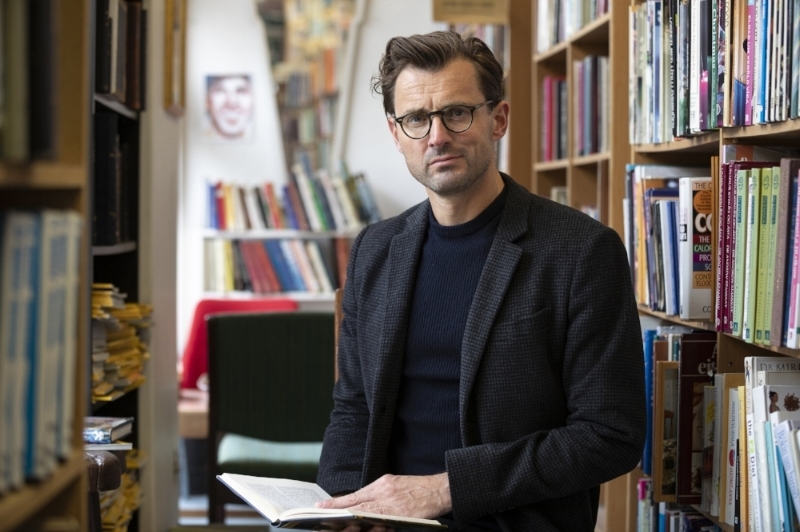 Ragnar Helgi runs the publishing house Tunglið forlag, which publishes between 6 and 8 works of fiction and poetry each year on a night of the full moon. He is one of the editors of Ljóðbréf — A journal of contemporary poetry. He teaches part-time at the Iceland Academy of the Arts and is part of the Kórus Collective Choir Project.